You're moments away from learning to play like all the greats! Be the next success story on this page! Pay once and get lifetime access to the course! Two Payments of $99/month for lifetime access! Hey there, I'm Marc. Now I don't know about you, but this whole bass playing thing has not been easy for me at all. It wasn't too long ago that I would listen to players like Victor Wooten and Marcus Miller in complete amazement and wish that I could play at least 10% of what they could. But being someone that has no kind of natural talent at all for the instrument, I wasn't sure if it was ever going to happen. You've watched some amazing players on YouTube doing some very impressive and flashy playing and thought to yourself "I want to be able to do that!" So then you decide that the next logical step is to go back on﻿﻿ YouTube and search for lessons and tutorials. You then end up sitting through really long and boring lessons which might end up teaching you one or two "tricks", but don't really tell you what to do next. So you search for another lesson and watch another long and boring video which isn't tied to the first one you watched and doesn't continue where that one left off. You're now starting from scratch on another video. After some time of doing this, you end up not making progress, getting frustrated and confused and decide to give up and tell yourself you're just not talented enough for this stuff. The truth is: With the right information, guidance, knowledge and work ethic ANYONE can learn to play like all of the top pros. For one, because I've taught several students that were in that exact same situation and completely transformed their playing in a short amount of time with my method. But also because learning to play this stuff did NOT come naturally for me at all. It took me YEARS until I finally started making any progress. And the reason, as I found out after many years of struggling, was because I didn't have the right information right from the start. I spent years playing completely wrong and developing bad habits on the instrument that were only getting me further from accomplishing my goal. When I first started playing and learning all this stuff there was no such thing as YouTube or videos. I had nothing but a CD player, so I couldn't even SEE how these guys were doing it. I was just trying to figure it all out by ear, which is what led to a lot of my poor technique and bad habits early on. And while Fast Internet and Videos should have made it easier than ever for people to learn and not make the same mistakes I did, it didn't because literally ANYONE can post a video lesson or tutorial, and if they come up when you search for a lesson, you'll watch their video and learn what they're teaching you without even questioning it. What﻿ if they are teaching you the exact techniques that held ﻿﻿﻿me﻿﻿﻿ back from ﻿mastering﻿ this style for so many years? To make matters worse, when you learn from YouTube there is no structure. Which videos should you watch first? Where do you start? What do you watch next﻿? Not having any structure or order in your learning is like reading a book out of order. Imagine if you bought a book to learn a certain skill, and instead of reading it from the first page to the last, you just opened it on a random page. How much would you learn from that book? Would you actually learn anything, or would it only leave you frustrated and confused? 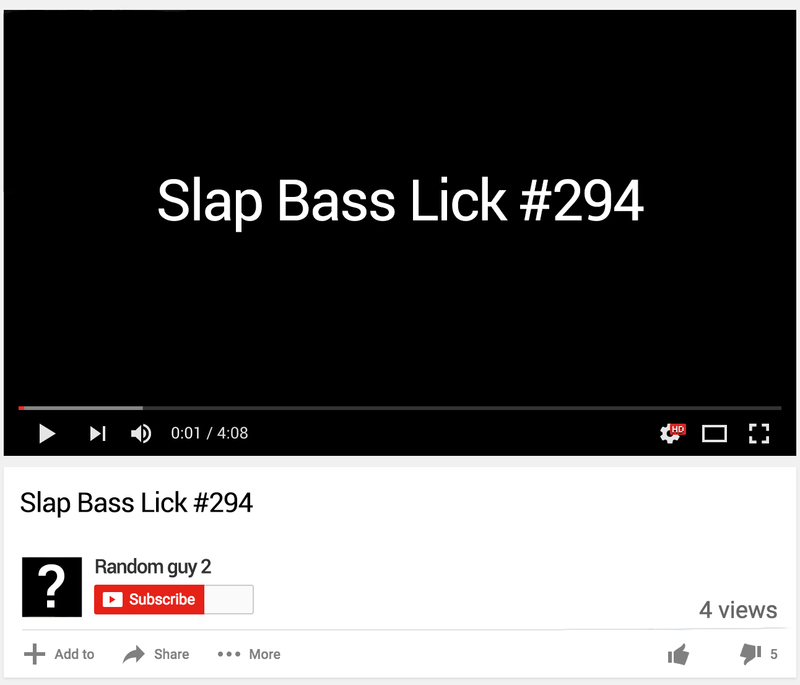 This is what you are doing to your bass education when you only consume free YouTube content. There is a reason why schools and colleges have curriculums and lesson plans. That is the only way to learn something efficiently and is a big part of what you are paying for. So with that in mind, the next logical step is finding a private teacher in your area. But again... how do you find someone that is actually qualified to teach you? What if you live in an area that doesn't have many professional bass players? And at $50 an hour, how many lessons are you going to need to learn all this stuff? The cost can really add up. 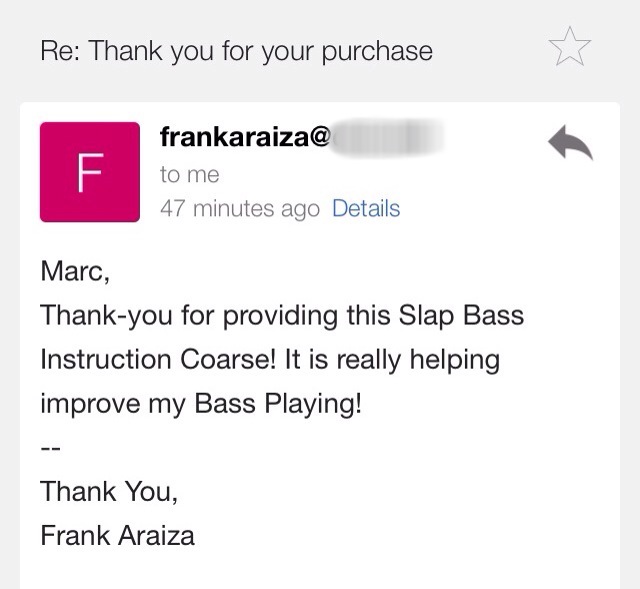 I personally have invested hundreds of thousands into my bass education. Between all the private teachers I had growing up and my time at Berklee College of Music, I've studied with over 40 teachers and spent a lot of money and time getting all this information. This is why my colleagues think I'm crazy for giving all this information away for such a low one-time cost. And I'll be honest, I've thought the same thing. But after getting so many messages from people who watch my YouTube videos, who are in the same position that I was once, who are asking me to teach them and to show them how I play, I decided it was finally time that I packaged this information and put it out into the world so that others can also benefit from it and learn a lot faster, with a lot less frustration and for a lot less money than I did. 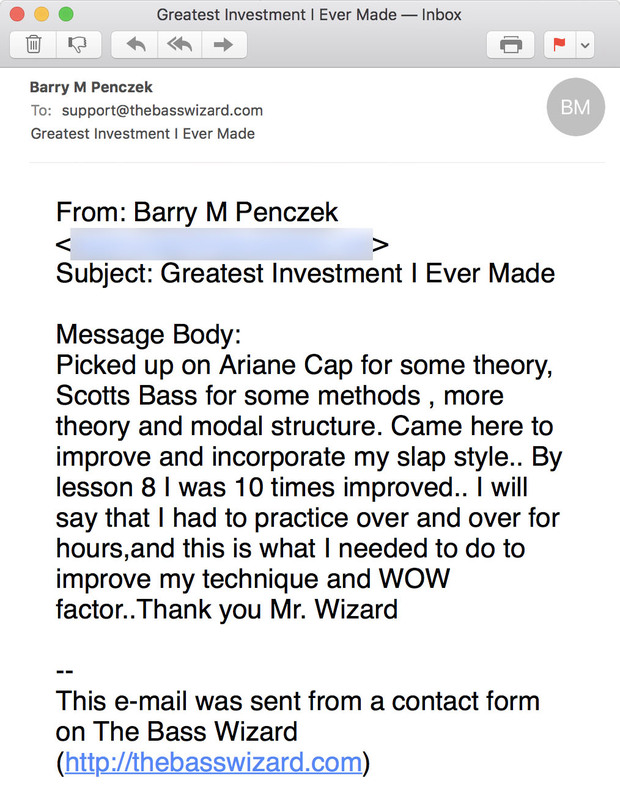 But wait... Just who is Marc "The Bass Wizard"? 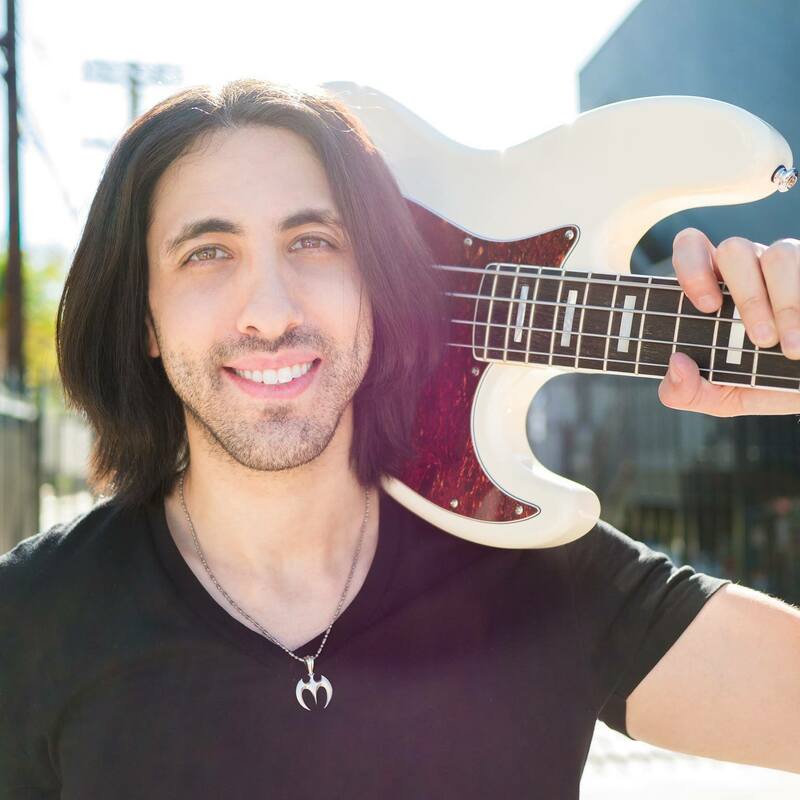 My name is Marcelo Feldman and I am a professional session and touring bass player in Los Angeles with over 20 years of both performing and teaching experience. 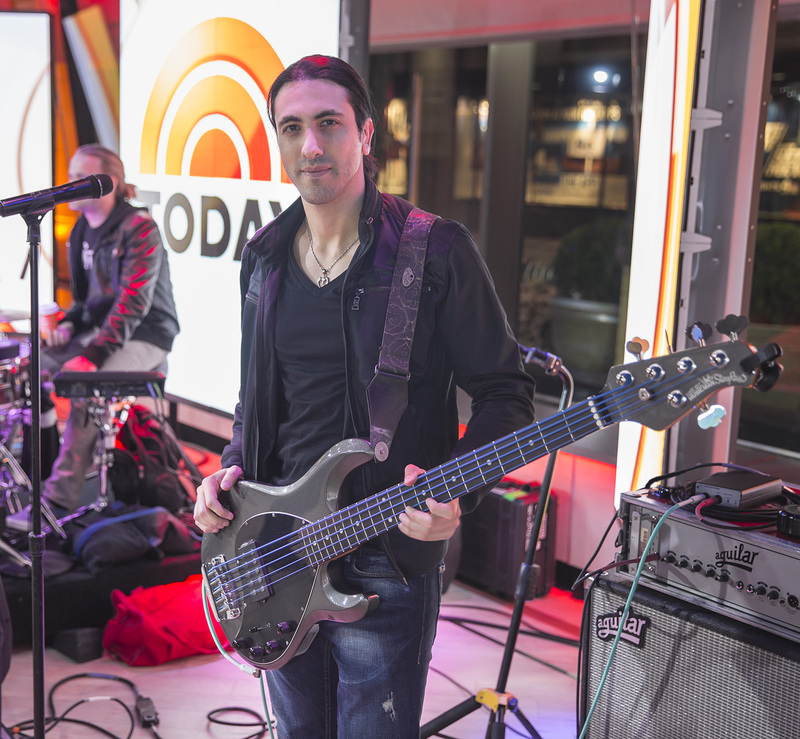 I graduated from Berklee College of Music and then went on to tour the world with many artists, having performed on TV shows such as NBC's The Today Show and The Tonight Show, as well as countless shows throughout North America, South America, Europe and Asia. How long do I have access to the course? How does lifetime access sound? After enrolling, you have unlimited access to this course for as long as you like - across any and all devices you own. What is your refund policy? 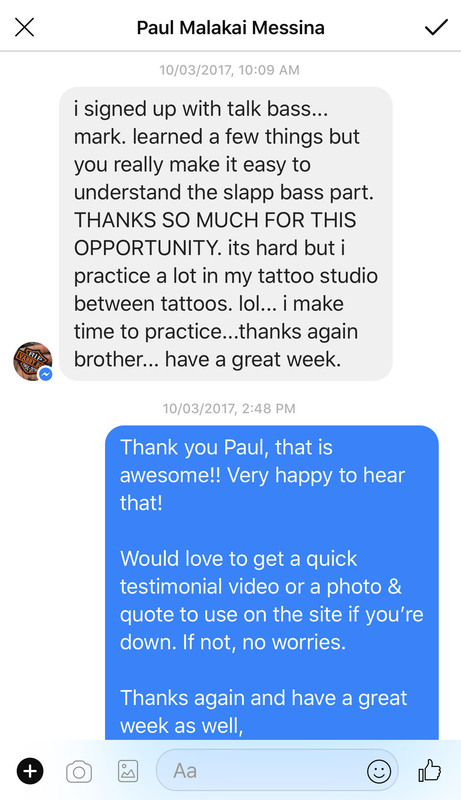 My vision and commitment is to offer the best and most comprehensive courses and lessons you'll ever find for bass players online. 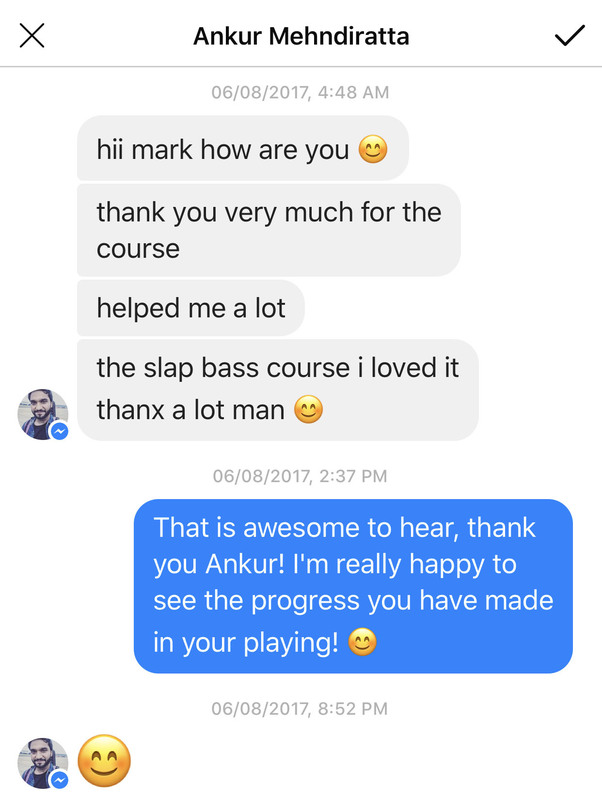 My courses and lessons have been tested on players of all levels, and they have changed the lives of many bass players around the world. Because I know the course delivers on all the claims, I do not offer refunds for any of my programs. No exceptions. If you do not plan on putting forth effort or actually working through the course, then I suggest you don’t join. 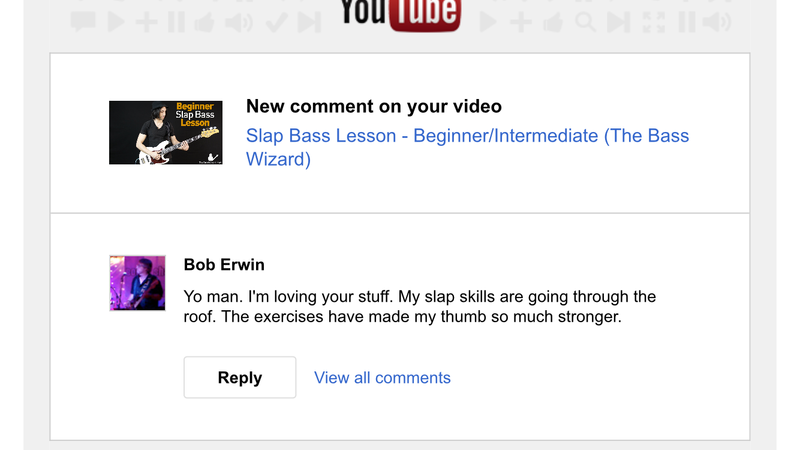 Please do not enroll in The Bass Wizard courses if you just want to "check them out", or "take a look under the hood". I have put an extraordinary amount of time, money and effort into my programs, community, and customer support, and I will hold you to the same standard. 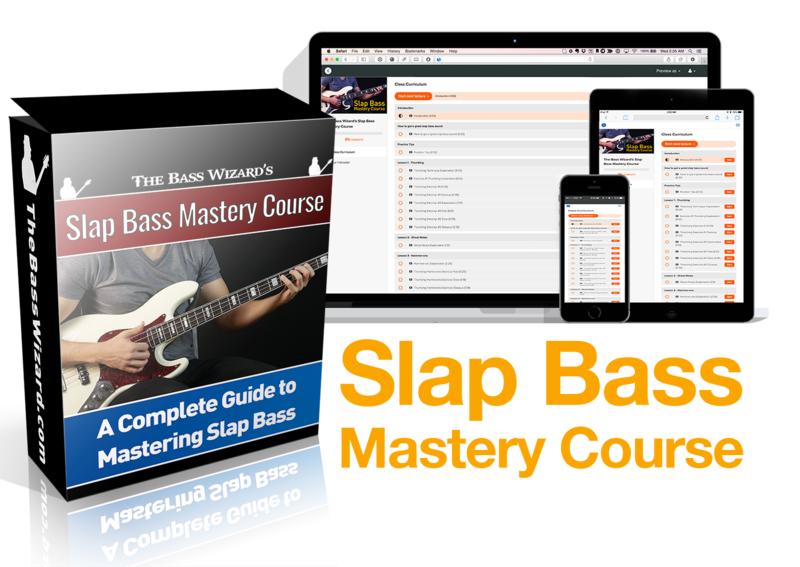 The Bass Wizard courses are for serious bass players only. How long is the course? I could have easily made this course over 10 hours long, but I didn't. Here's why... Unlike most courses, this course was not designed to be as long as possible and to have hours and hours of video just for marketing purposes. How many times have you seen a course advertise itself as "Over 8 hours of video content"? And then when you watch it, there's really only 1-2 hours of applicable material, the rest is all filler to stretch the course out as long as possible. Aside from it being difficult to find the time and concentration to sit through something that long, you'll never become a better player by simply watching a video. You'll only become a better player by practicing and mastering the techniques. With that in mind, the course was designed with straight to the point instruction and technique-focused exercises in every lesson so that you not only watch a video of me explaining and playing the techniques, but you also have a way of practicing, developing and mastering all the techniques demonstrated. The course itself is around 2 hours of video content. However, you have to practice and master each section before going to the next one, so depending on your current level of experience and how much time you can dedicate to it on a daily or weekly basis, it could take you a few months to get through the whole course. Let me transform your playing!